Have you ever been on the Dolomites walking holiday in Italy? If not you are missing out on some of the most breathtakingly beautiful walking in Europe. The Italian Dolomites are probably Europe’s most impressive limestone mountains with their often rugged appearance and fast flowing internal rivers. Our self-guided walking holidays in the Dolomites is graded as level 3. 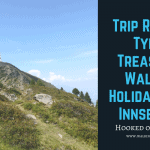 On one night you will have to carry a small overnight bag up on the trek to your mountain hut accommodation, this really adds to the experience of being in the mountains, close to nature. Right in the heart of the German-speaking South Tyrol region of the Dolomites lays the nature lovers ideal hiking area. The Parco Naturale Fanes-Sennes, one of Europe’s largest nature reserves and where you can still encounter marmots, chamois and ibex among others. Your Dolomite walking holiday never fails to impress with the spectacular limestone mountains with their raged, often snow-capped peaks set the backdrop for the walks that take you up to the high mountain pastures, passes and ridges. Here nature is quite untouched and an incredible variety of plant species including orchids, monkshoods, gentians and lilies can be found. With the coming of summer, the snow starts to melt giving way to an eruption of colour as thousands of flowers start to blossom. The woods that have been silent for months also come alive with bird songs and the sound of running water, fresh and crystal clear. You will spend 6 nights in the village of Wengen, (or La Valle as the Italians call it) in a comfortable hotel with a well-equipped wellness centre. A two-day hike takes you to the high Fanes plateau, where you stay the night in the beautifully located and very comfortable Fanes Mountain Hut. The scenery from here is really breathtaking and absolutely worth the climb. What are you waiting for, the mountains are calling, come and discover some of the best hikes in the Dolomites. Let the team at Hooked on Walking plan your hiking vacation in the Dolomites soon! Arrive in the mountainside village of La Valle, or Wengen in German, go for a stroll to soak in your extraordinarily beautiful and peaceful surroundings. Today’s walk starts and ends in La Valle and passes over the Sas De Crosta (Pares) mountain. A stop at the Crusc de Rit is a must, as for this panoramic point you can look over the Val Badia on the south, and the Valpusteria and Austrian peaks on the north. Proceeding across stretches of forest and wide pastures, you have exceptional views including the majestic rock faces of the Sas Dalesc Desc, the Sas Dales Nu and the Ju de Sant Antone. It is also possible to shorten the itinerary. The walk starts and ends in the village of Pederoa, 2km from La Valle and it is reachable on foot, by local bus or with a prearrangement private transfer. Initially, the route alternates asphalted sections with the footprint that climb gradually until you reach forests and wide glades with panoramas on the whole La Valle and its surrounding mountains, as well as on Longiarù and the impressive Monte Putia. A gradual descent on a good dirt road along the Gran Ega stream (the largest in Val Badia) brings you down from the Spizan peak back to Pederoa. Day 5 La Valle to Rifugio Fanes/Lavarella 8.7 miles 14km up/down 1275m/539m 6 hours. Today you take some overnight items with you, your main luggage is left in your hotel. Today’s route is a gradual climb and then descent on stony footpaths. Along the way, you will admire the rock faces of the Sasso delle Nove and a complete view on the Pares ridge and the Austrian peaks. The last uphill section is quite steep till the Ju De Sant Antone where there are ample views on the valley and the Fanes-Senes-Braines Natural Park. Crossing the high pastures you reach Rifugio Lavarella and Rifugio Fanes, here you can make a short detour to Lé Vërt lake and Limo lake. Day 6 Return from Rifugio Fanes/Lavarella to La Valle 12.5 miles 20km up/down 776m/1496m 8 hours. Today’s route is a bit steep but fascinating, it crosses the larch forest as you climb to the alpine lake Lech Parom where the vast and majestic Fane’s upland and prairies gradually turn to sheer vertical rock surfaces surrounded by the typical Dolomiti peak. To avoid the steep climb, it’s possible to follow a more gradual trail and it’s possible to descend to Val di Medesc through a narrow stony canal that brings you to La Crusc from where you can admire other massifs of Val Badia. In the last stretch to La Valle, you will cross the Armentara with its wide lawns, a peculiarity of this landscape. The itinerary is quite steep at the beginning until the side of Monte Putia, it’s a magnificent peak, particular in its shape and stands out over the others in Val Badia. As you head towards Rifugio Genova, a pleasant hiding place beneath Passo Poma, you cross wide prairies with exceptional views on the peaks of Puez-Odle Natural Park and the Fanes massif. The way back is through the Seres valley characterized by a succession of ancient watermills. It’s possible to shorten the trail by about 3 km. Longiarù is reachable by local bus directly from La Valle. NOTE: The day to the Refuge can be Day 2-6 depending on availability. The walks will take between 5 and 8 hours (excluding lunch breaks). The paths are well passable, sometimes stony or steep. Most walks can be extended or shortened. Per day the altitude differences are between 500 and 1300 m. Some experience in mountain walking and a generally good condition is recommended. The accommodations we use in La Valle-Wengen are small comfortable 3 star hotels with a friendly family run atmosphere. All the rooms have accommodation, private bathrooms and the hotels are equipped with a wellness centre. The Fanes/Lavarella mountain huts are a good 3 star equivalent hotel and they are cosy and typical Tyrolean style. They are ideally located and have a great panoramic terrace. There are different types of rooms where linen and blankets are provided, quite a few of these rooms have private bathrooms: the twins have separate beds, (there are no double beds) while the triples and quads have bunk beds. The standard booking is for a twin room with private bathroom, but these fill up quickly, especially in the high season so as an alternative we book a twin with external bathroom. The nearest airport is Innsbruck but you can also fly to Verona, Treviso with Ryanair and Venice. From these you take a train to Brunico and then a taxi to La Valle-Wengen. Transfer La Valle to Passo Valparola.